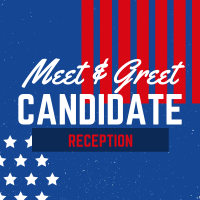 The Woodlands, Texas – The Woodlands Area Chamber of Commerce will host a meet and greet with candidates seeking public office in Montgomery County on Thursday, Oct. 25 from 5-7 p.m. at Avenida Brazil Churrascaria Steakhouse, located at 1400 Research Forest Drive, Suite 180, Shenandoah, TX 77381. The Chamber has extended an open invitation to local candidates to meet with community members and business leaders to discuss their views and direction of the county. The event is free, open to the public and will offer Montgomery County voters an opportunity to meet with candidates, listen to their comments and ask questions. As an added incentive, The Chamber will offer a complimentary drink to any guest wearing an “I Voted” sticker to the event. Election Day is Nov. 6, with early voting from Oct. 22 to Nov. 2. For more information about the upcoming Montgomery County elections, visit legacy.mctx.org/election. To learn more about the meet and greet event, or to participate as a candidate, please contact Lupe Cuellar at 281-363-8106 or lupe.cuellar@woodlandschamber.org.